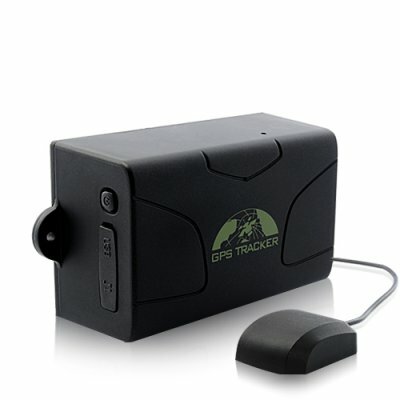 Successfully Added Car GPS Tracker - Real-Time GPS Tracking, Portable, Weatherproof, Magnet to your Shopping Cart. Real-Time Tracking: With a GPRS enabled SIM card, you can monitor real-time movement of your vehicle on a map using the included tracking software. Track on Demand: Call the number of the SIM car on the tracker and receive a text message back with its exact coordinates (location). Movement and Speed Alert: Warn you with a text message when the vehicle starts to move from a stationary status, or when the vehicle is moving faster than a preset speed. Stop the Engine: Send an text message to the tracker to cut off the gas and battery power, so the engine will remain in an immobilized stated until your remove the alarm status. Audio Surveillance : Call the tracker and listen in on the surrounding audio. The 6000mAh rechargeable battery provides 60 days standby and 30 days of continuous use. This makes it perfect for use with multiple vehicles or simply a quick and easy way to add GPS tracking to your automobile, without installation. For a more permanent solution, heavy gauge wiring and antennas are provided. Place this device on the metal frame of any car to quickly track the vehicle without the driver knowing a thing. This is useful for parents who want to easily check on their children to make sure they are really going where they say they are. The TR22 features the trusted SiRF III GPS chipset- used by millions of people around the world. This allows for faster fix times and higher signal sensitivity for locking satellite signals in tough areas like under dense foliage or in urban canyons. Consistently accurate tracking, quick and easy to use, durable weatherproof construction with magnet base, built-in high intensity antennas and long lasting 6000mAh internal battery. It’s these features and many more that place the TR22 at the top of our list. Order now while it’s still in stock and we’ll ship your order out within 24 hours and back the TR22 with our full one year warranty. Comes with wiring harness and antennas for tracking 365 days a year. Great for private use, company car or rental fleet management. Comes with external GSM and GPS antenna for rock solid reception. PLEASE NOTE: Chinavasion does not provide software or IT support for the real-time GPS monitoring setup. To use the real-time tracking function you will have to open a communication port (of your choice) on your computer. If behind a router you will need to add your IP address and open the port on your router. Each tracker’s IMEI number is unique and can only be used to setup the software on one computer once and ONLY ONCE, which means you can only use the software on that computer exclusively after successfully set it up. This is due to the security requirements of the software and the product. Accurate position. The shock sensor is very sensitive. All the functions needed for a GPS alarm. The shock sensor is very sensitive also, only when closing the door it is activated. All the functions needed for a GPS alarm. Track everithink with accuracy. Very fast fix. on 2011-05-27 14:36:15 Awesome tool! Works great! Track your vehicle or anything else real time on the internet or via SMS. I advise to take a flat fee data plan, because the prepaid data drains pretty fast. Built in accu is not very good.